Mr John Grimes was born at Bubbenhall in Warwickshire, on November 10th, 1859, and died on August 6th, 1947. He was educated at All Saints' School, Bloxham, in Oxfordshire, and later played his part in the public life of Cardiff, serving as Hon. 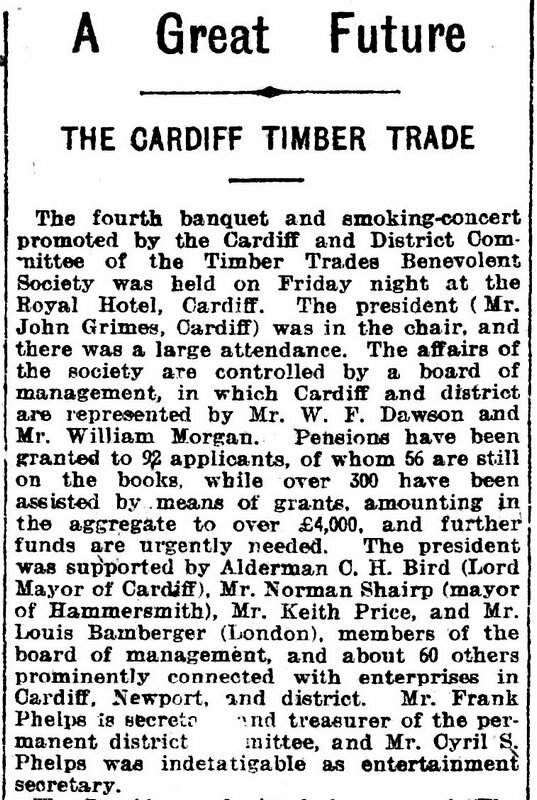 Treasurer of the Glamorgan County Branch of the Red Cross for many years, and of two Red Cross Hospitals in Cardiff during the 1914-18 war; he was also Chairman for many years of the local committee of the Timber Trades Benevolent Society, and member of the Pensions Committee for ex-servicemen, and for these various services received the M.B.E. 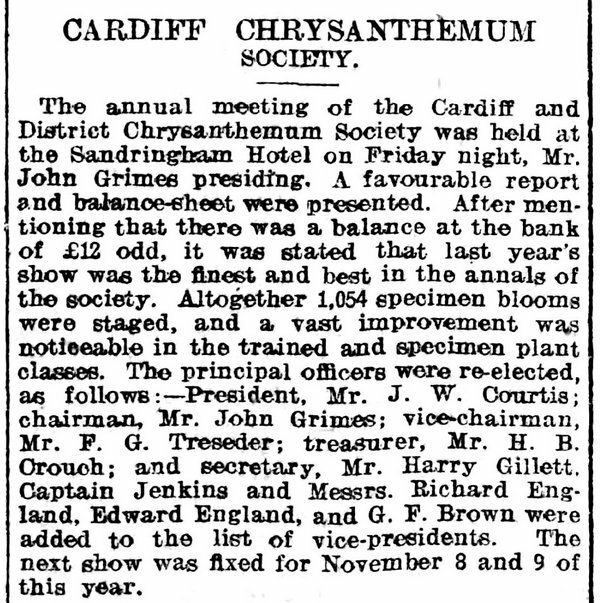 Mr Grimes' connection with the Cardiff Naturalists' Society was a lengthy one; he joined in 1896, became a member of the Council in 1906, and was President in 1915-16. The subject chosen for his presidential address - The Naturalist and the Gardener - well represented his catholic interests in the field of nature. 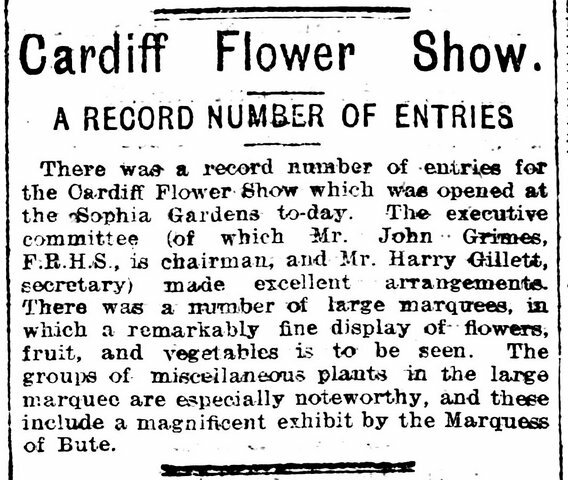 His contributions to the meetings of the Biological and Geological Section, in the form of papers and exhibits, were mainly botanical in interest, but ranged also over the fields of entomology and ornithology; his predominant interest in botany was also reflected by his membership of the Cardiff and County Horticultural Society, of which he was Chairman twice. 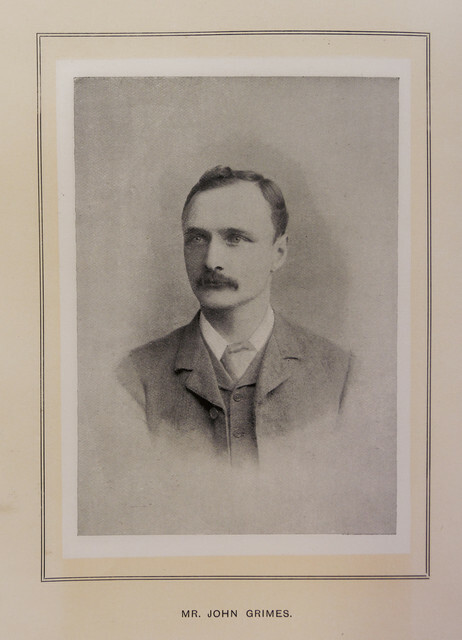 Mr Grimes first exhibited specimens to the Biological and Geological Section in 1915 and thereafter he regularly attended meetings, read a number of papers, and exhibited several specimens every year down to 1940, when he had passed his 80th year. 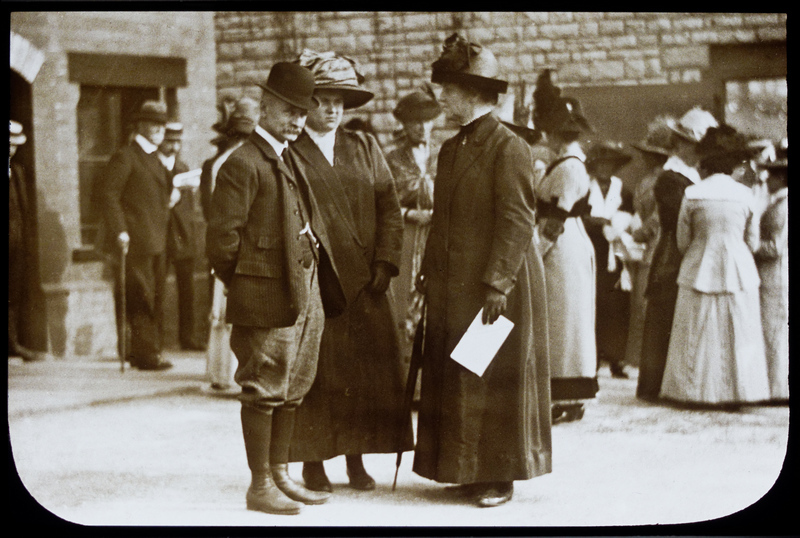 He was elected to the Committee in 1918, was Hon. 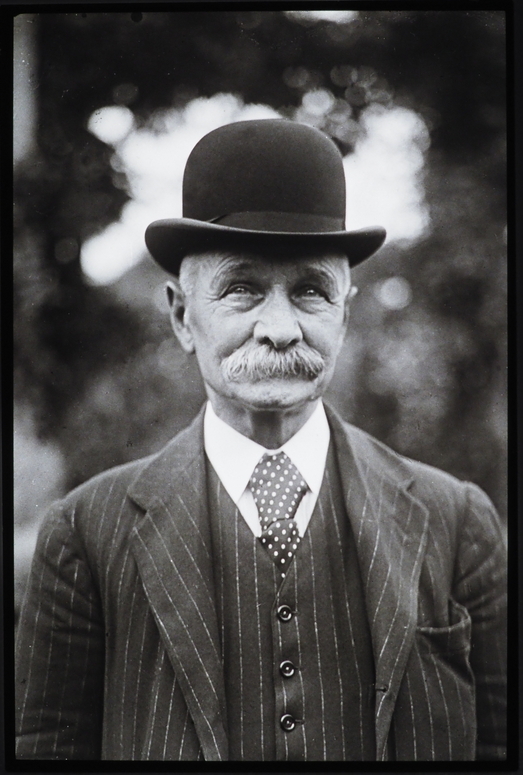 Secretary of Field Walks from 1919 to 1923, and President from 1923-25. Mr Grimes was a keen photographer and formed a very large collection of lantern slides, in which architectural as well as natural history subjects were represented, and from which he showed selections to the Photographic Section as well as to the Biological and Geological Section of the Society; on his death this collection came to the National Museum of Wales through the generosity of his daughter, Miss Winifred Grimes, to whom we also are indebted for much of the information contained in this notice. At the event when we hosted the Insole Court Tree Walk on Saturday on the 9th of June 2018, I was approached by one of the Insole Court research group about a possible picture of one of our former presidents. On finding that book "Contemporary Portraits Men and Women of South Wales and Monmouthshire, Western Mail Limited 1896" I found that it contained a number of portraits of our former presidents.